On this day in history, Ouachita Baptist College (now University) became a reality. And how glad I am! If you step on campus for the first time and God nudges you, I can bet He’s telling you OBU is right for you. If you leave campus and God nudges you, call up your admissions counselor. Maybe you just need to talk some more to someone who knows and loves Ouachita. If your sibling goes to OBU, it might be the right place for you. Pray on it, explore your options and when God nudges you toward OBU, listen to Him. If you are a high school student looking to attend a small Christian college, check out OBU! Both of my sisters attend Ouachita, but going there was not an easy decision for either of them. Their experiences have been completely different than mine. That’s what makes this school so wonderful. Leading into my design below, I shall use a cliché and say, “Jump on the band wagon!” Join the Ouachita family. And if you students get a call from my sister Madison who is working as a telecounselor, don’t hang up on her! 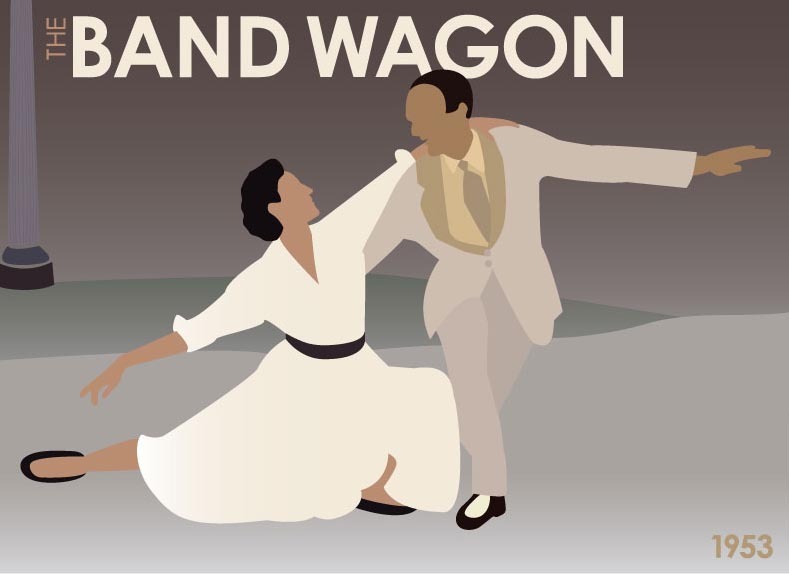 For this classic film series piece, I captured a moment from “Dancing in the Dark,” a gorgeous Astaire/Charisse dance sequence in Central Park. I have no problem with a director falling in love with an actor and using him in nearly every film the director makes. My favorite actors and directors are collaborators: Johnny Depp and Tim Burton, Leonardo DiCaprio and Martin Scorsese, Jimmy Stewart and Alfred Hitchcock. Stewart and Hitchcock only made four films together before going their separate ways (Hitchcock blamed Stewart’s age on Vertigo‘s failure to attract audiences in 1958). 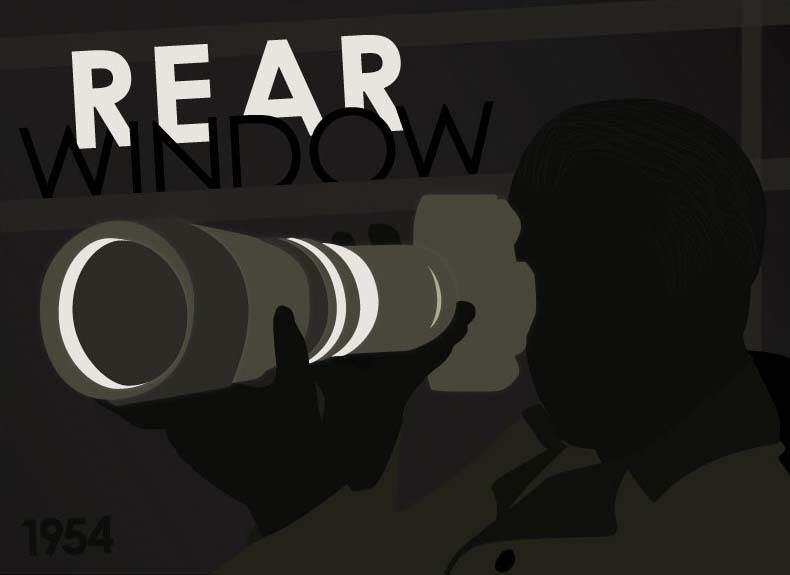 My favorite of their movies together is Rear Window (1954). Not only does Stewart show off his acting by spending the entire film in his apartment stuck in a wheelchair with his left leg in a cast, but the story keeps you engaged from start to finish. It’s a murder mystery with a bit of glamour (thanks to the delightful Grace Kelly) and one of Hitchcock’s finest pieces.